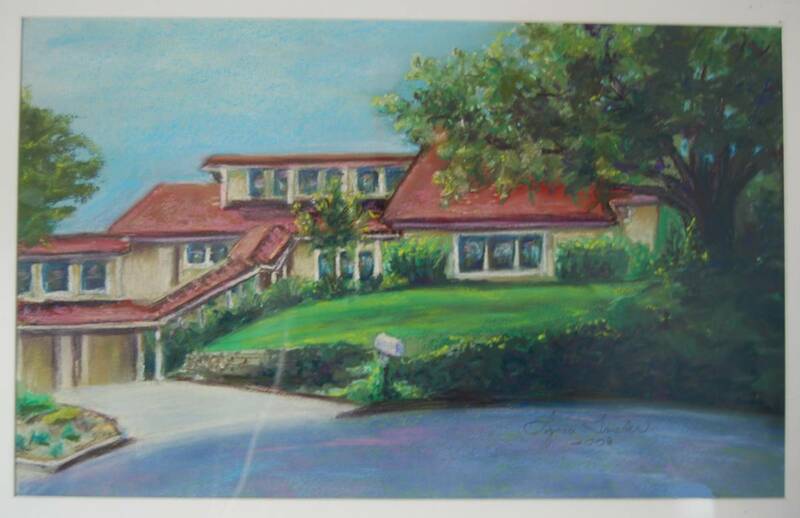 Paintings of cherished homes can be framed and hung or painted directly onto a wall. 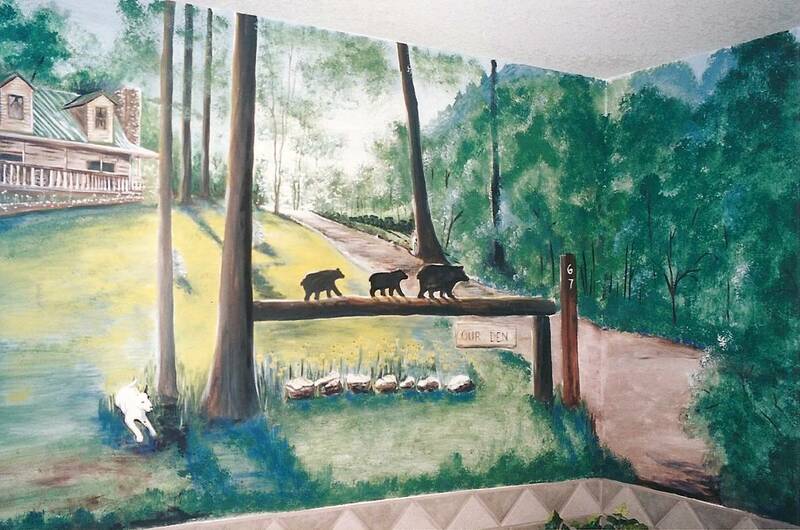 This portrait of a mountain cabin is painted on a wall. 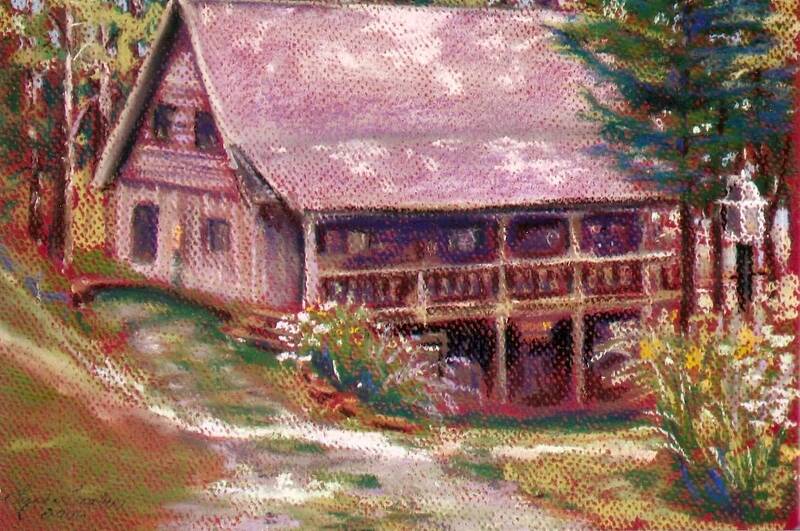 A pastel portrait of a North Carolina cabin. Portrait of a Texas home.